The land is cold, its average temperature zero. It holds the world record for the lowest surface temperature of -71.2°C in the eastern town of Oymyakon. For scientist Sergei Zimov, this forbidding landscape holds the key to our planet’s future. Zimov is Director of the Northeast Science Station in Cherskii, inside the Arctic Circle and just 150 km south of the Arctic Ocean. He is consumed by a deep concern that global warming will literally melt the world beneath his feet, with apocalyptic consequences. Twenty per cent of the world’s land mass (half of it in Siberia) is covered by permafrost, or permanently frozen ground, rich in organic carbon and tens of metres in depth. As the ground thaws methane and carbon dioxide — the two principal greenhouse gases — are released into the atmosphere. Zimov is not alone. The National Centre for Atmospheric Research in the United States predicts that half of the permafrost in the Arctic north will thaw to a depth of 3 metres by 2050. Glaciologist Ted Scambos says: “That’s a serious runaway … a catastrophe lies buried under the permafrost”. Permafrost melts at the edges of lakes that previously were iced all year-round, according to Katey Walter of the University of Alaska at Fairbanks. She says organic material, the remains of rotted plants and long-dead animals which has been “locked up in permafrost since the end of the last ice age“, then subsides into the lake from the soil and “is being released into the bottom of lakes, providing microbes a banquet from which they burp out methane as a byproduct of decomposition“. In dry conditions, the warming soil releases carbon dioxide. The western Siberian peat bog is amongst the fastest-warming places on the planet, and Sergei Kirpotin of Tomsk State University calls the melting of frozen bogs an “ecological landslide that is probably irreversible”. 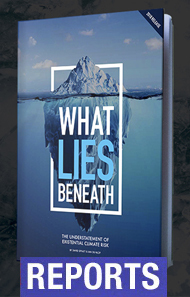 In August 2008, Örjan Gustafsson, the Swedish leader of the International Siberian Shelf Study confirmed that methane was now also bubbling through seawater from permafrost on the seabed. So the question is no longer whether the permafrost will start to melt, but if and when the time-bomb will go off. When it does, it will sweep the climate system away from our capacity to stop further dramatic "tipping points" being passed. All the carbon in the permafrost is equivalent to twice the total amount of all carbon dioxide in the atmosphere, so losing even a significant portion of it will create a very different planet from the one we know. Scientists are warning that the temperature at which it will be triggered is closer that we think. Research published in mid-2008 by Dmitry Khvorostyanov shows the trigger is warming in the Arctic of around 9ºC, and that once initiated it will maintain itself, leading to three-quarters of the carbon being released within a century. If time-bomb is ticking, we need to know how much time do we have to defuse it. There are two factors. The first is that warming is greatest at the poles. Global average temperatures have warmed just less than 1ºC since the Industrial Revolution, but average temperatures in Siberia, Alaska and western Canada are now 3ºC to 4ºC warmer than 50 years ago. So by mid-century the increase could easily be 4ºC to 6ºC. The second factor is the rapid loss of eight million square kilometres of thin sea-ice that floats on the Arctic Ocean. Each summer it is melting fast, with a current loss by volume of 80 per cent, and it is likely to be entirely gone each summer within five years. With the heat-reflecting ice lost and replaced by dark, heat-absorbing seas, it is expected that regional temperatures in the Arctic will increase by around 5ºC. “The Arctic is often cited as the canary in the coal mine for climate warming… and now …the canary has died,” says NASA glaciologist Jay Zwally. These dramatic changes in the Arctic have shocked the scientific community and called into question the adequacy of some of the projections of the United Nations’ panel of climate scientists, known as the Intergovernmental Panel on Climate Change (IPCC). They had said the Arctic sea-ice would likely last to the end of this century. Put these factors together, and add in human greenhouse gas emissions that are still increasingly rapidly, and the result is spine-chilling as the clock ticks down. The "tipping point" for unstoppable permafrost melting could be reached as early as the middle of this century, and very likely by the end of this century, unless the world acts dramatically to stop carbon pollution. 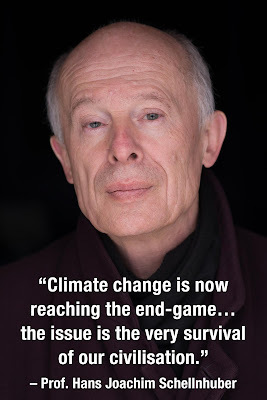 The USA’s most eminent climate scientist, James Hansen, says: "Recent greenhouse gas emissions place the Earth perilously close to dramatic climate change that could run out of our control, with great dangers for humans and other creatures. There is already enough carbon in the Earth’s atmosphere for massive ice sheets such as West Antarctica to eventually melt away, and ensure that sea levels will rise metres in coming decades. Climate zones such as the tropics and temperate regions will continue to shift, and the oceans will become more acidic, endangering much marine life. We must begin to move rapidly to the post-fossil fuel clean-energy system. Moreover, we must remove some carbon that has collected in the atmosphere since the Industrial Revolution." In other words, we need build a zero-emissions economy quickly. Unfortunately this enormous task is not enough; we will also need to cool the planet so we can restore the Arctic sea-ice and stop the whole catastrophe unfurling. This means ending logging of tropical and temperate forests, and taking carbon out of atmosphere by planting more trees and storing it in the soil as agricultural charcoal. So how much does Penny Wong understand about the real permafrost story and the recent science? Very little, it seems. In a mid-year meeting with a number of environment organisations, she was asked whether recent developments in climate science since the last IPCC report (such as the rapid loss of the Arctic sea-ice) meant the government needed to rethink its approach. Her answer was that she did not understand the question. No wonder the Rudd government’s climate policies are delusional, and those of the conservative opposition worse. The government is gambling with our future with its policy of allowing a 3ºC rise, which would destroy the Great Barrier reef, the tropical rainforests, cause widespread desertification, a mass extinction and a sea-level rise of perhaps 25 metres. At 3ºC the climate will kick into a new state and run away from the human capacity to live with it. Tens, perhaps hundreds, of millions of people will not survive. Our political leaders are not taking the actions that the science demands, because the conventional mode of politics is short-term, pragmatic, incremental and fearful of fundamental change. Kevin Rudd and Penny Wong have adopted a traditional Labor approach to the climate problem: something for the environment lobby and something for business. But the problem is that solving the climate crisis cannot be treated like a wage deal, with the demands of each side balanced somewhere in the middle. It is not possible to negotiate with the laws of physics and chemistry. The planet cannot be bought off. There are absolute limits that should not be crossed, and doing something, but not enough, will still lead to disaster. Since signing the Kyoto protocol in December 2007, the Rudd government has continued its rhetoric on the threat of climate change. But instead of declaring a war on carbon polluters, the government has adopted a policy of appeasement of the fossil fuel industry. There can be no solution to the climate problem without confronting the problem of coal. Half of the greenhouse pollution from fossil fuels has come from coal. Yet as the oil runs out burning of coal is set to grow. Coal is Australia's biggest export, generating 13 per cent of export revenue. We are the world's biggest exporter of coal and our feeding of the world's addiction doubles our carbon footprint. Most of our electricity is generated through burning coal, which is why we have one of the highest per capita greenhouse gas emissions in the world. As during the Howard years, the coal industry mafia seems again to be writing the script. The Rudd and Victorian Labor governments have committed to funding a new coal-fired power station in Victoria's La Trobe Valley. And while Environment Minister Peter Garrett has stopped coal developments in Queensland's Shoalwater Bay wilderness, many other coal infrastructure projects have been given the green light. Over $9 billion in subsidies go the fossil fuel industry each year, much of it to coal. The coal industry received as much for research and development in the last budget as the whole of the renewable energy sector. The power of the coal industry comes from its corporate and financial muscle. While many of the coal companies are foreign owned, they generate big revenues, particularly for State Labor governments. It would take Churchillian courage to stand up to the coal industry, but that is what is needed in the middle of this climate crisis. Instead, the Australian government is punting on two main policies to reduce our carbon emissions, neither of which pose much threat to the coal industry. The first, promised during the 2007 election, is a target of 20 per cent of all electricity generated by 2020 to come from renewable sources, known as the Mandatory Renewable Energy Target (MRET). With increasing emissions from economic growth and a rising population, this policy would likely do little more than hold emissions from generating electricity at their current level. Even this is under threat from a government review of climate change policies by finance bureaucrat Roger Wilkins, who says the MRET is “distortionary” of the market. A large MRET set at a level in accordance with scientific advice could drive investment in solar, wind and geothermal energy, but the government’s current effort falls a long way short of the mark. The second main policy is a carbon trading scheme, which aims to put a total limit (or cap) on emissions which is reduced over time, so that carbon polluters must buy permits which will rise in cost as less emissions are allowed. Like a carbon tax, it will mean polluters pay and pass on the cost to consumers. The reports outlining carbon trading by the Labor-appointed Garnaut Review and the government’s own “green paper” are gloomy reading. The proposed target reduction is way too small (Europe’s target is a reduction of 30 per cent by 2020 compared to Garnaut's recommendation for Australia of only 5–10 per cent). Many emissions will not be accounted for, and free permits will be given away to the biggest corporate polluters. Many polluters will be able to avoid their responsibility by buying dubious carbon credits from the developing world. In the end the Carbon Pollution Reduction Scheme will do little to reduce emissions, as the fossil fuel mafia is rending it piece by piece and the loopholes and exceptions seem set to grow. The more serious consequence is that it will delay the serious action that needs to be taken right now. 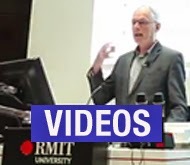 In his report released last month (Sept 2008), economist Ross Garnaut dropped the ball, and we are now being positioned by him and the federal government to accept slow suicide. The only effective alternative is to break out of this politics-of-failure and campaign with all our heart and strength across the country for an emergency response, where we set out to fully solve the problem, whatever it takes. There is no other choice. So how much economic capacity should be devoted to making the necessary rapid transition to a post-carbon society? The only realistic answer is that we must devote as many resources as are necessary, and as quickly as possible, to the climate emergency. During the last global mobilisation, World War II, more than 30 per cent, and in some cases more than half, of the economy was devoted to military expenditure. We need to be prepared for that level of commitment again if we are to save most humans and species from a global warming apocalyse. Shifting to a war-type economy will require us to live better by consuming less as we rebuild a sustainable society. In July this year, former US Vice-President Al Gore challenged America's leaders to commit his nation “to producing 100 per cent of our electricity from renewable energy and truly clean carbon-free sources within 10 years…This goal is achievable, affordable and transformative. To those who argue that we do not yet have the technology … I've seen what they [entrepreneurs who will drive this revolution] are doing and I have no doubt that we can meet this challenge.” With over a million supporters and plenty of money it is possible his campaign will succeed in pushing America in a new direction. "Sergei Zimov waded through knee-deep snow to reach a frozen lake where so much methane belches out of the melting permafrost that it spews from the ice like small geysers… the Russian scientist struck a match to make a jet of the greenhouse gas visible. The sudden plume of fire threw him backward. … 'Sometimes a big explosion happens, because the gas comes out like a bomb,' Zimov said. 'There are a million lakes like this in northern Siberia'."